There were rumours earlier about the Acer Iconia Tab A700 which said that the tablet will be running on an Nvidia Tegra 3 chipset and will boast a full HD display. Well, it seems that the rumours just might be true after all. 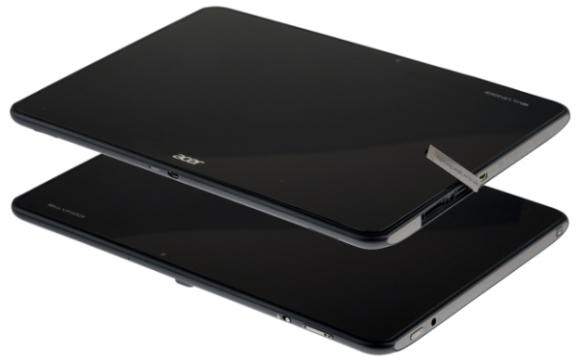 A dummy image of the tablet has been leaked which give us a fair idea of how the device will look like. The tablet will have a 1920 x 1200 resolution display and will be powered by a quad-core Tegra 3 processor which is similar to the one used in the ASUS Transformer Prime. The Android version is not specified but we presume it will be running Ice Cream Sandwich. The tablet will also have a 5 megapixel camera with LED flash and an HD camera on the front, Wi-Fi 802.11n, Bluetooth 3.0, micro USB, micro HDMI port and a SIM card slot as well. The tablet is said to have a chunky 9800mAh battery to power its high resolution display which means it will be high on the weight factor. The tablet should be announced CES 2012, till then stay tuned.